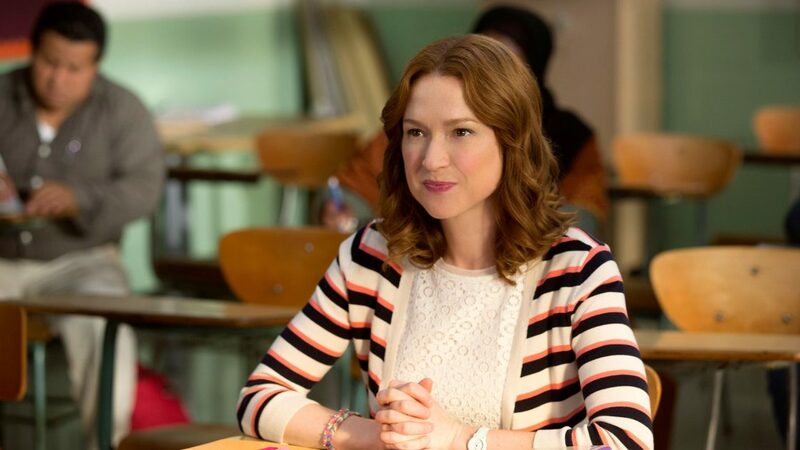 If you’ve seen The Office or Unbreakable Kimmy Schmidt, then you know Ellie Kemper as the sweet and quirky receptionist Erin Hannon and the excessively optimistic and naïve Kimmy Schmidt. Or maybe you know her from her sexually frustrated role in Bridesmaids. But did you also know that she attended Princeton (yes, that Princeton) and Oxford (yes, that Oxford)? Or that she’s a writer as much as an actress? She’s written for The New York Times, GQ, Esquire, The Onion, and The Huffington Post. Here’s your chance to learn all about her life—from her hilarious time on The Office to the ins and outs of motherhood—all there, in her new memoir My Squirrel Days. Until October 21st (11:59 pm ET), you can enter for a chance to win a signed copy of the book, the audiobook, AND a tote bag from Ellie’s publishers Scribner Books and Simon Audio! ENTER HERE! Comedian and star of The Office and Unbreakable Kimmy Schmidt Ellie Kemper delivers a hilarious and uplifting collection of essays about one pale woman’s journey from Midwestern naïf to Hollywood semi-celebrity to outrageously reasonable New Yorker.There comes a time in every sitcom actress’s life when she is faced with the prospect of writing a book. When Ellie Kemper’s number was up, she was ready. Contagiously cheerful, predictably wholesome, and mostly inspiring except for one essay about her husband’s feet, My Squirrel Days is a funny, free-wheeling tour of Ellie’s life—from growing up in suburban St. Louis with a vivid imagination and a crush on David Letterman to moving to Los Angeles and accidentally falling on Doris Kearns Goodwin. But those are not the only famous names dropped in this synopsis. Ellie will also share stories of inadvertently insulting Ricky Gervais at the Emmy Awards, telling Tina Fey that she has “great hair—really strong and thick,” and offering a maxi pad to Steve Carell. She will take you back to her childhood as a nature lover determined to commune with squirrels, to her college career as a benchwarming field hockey player with no assigned position, and to her young professional days writing radio commercials for McDonald’s but never getting paid. Ellie will guide you along her journey through adulthood, from unorganized bride to impatient wife to anxious mother who—as recently observed by a sassy hairstylist—“dresses like a mom.” Well, sassy hairstylist, Ellie Kemper is a mom. And she has been dressing like it since she was four. Ellie has written for GQ, Esquire, The New York Times, McSweeney’s, and The Onion. Her voice is the perfect antidote to the chaos of modern life. In short, she will tell you nothing you need to know about making it in show business, and everything you need to know about discreetly changing a diaper at a Cibo Express.